Lots of homeowners make the decision to remodel certain rooms in their home at one point or another. 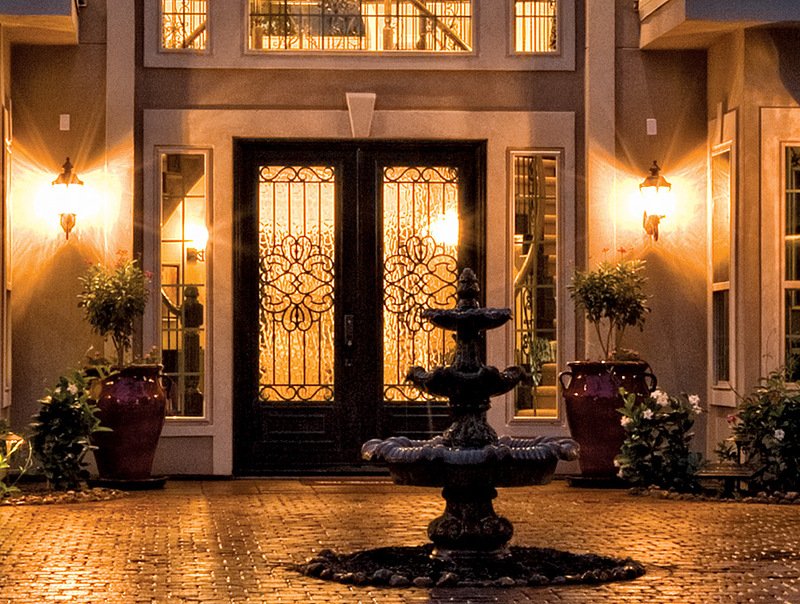 It can sometimes be tough coming up with suitable ideas to make your home look warm, welcoming, and maybe original. That's where Country Door comes in. Details: Save Up to 60% on Select Patio & Porch Merchandise. Limited time offer. Extra 20% Off Already Marked Down Prices Over 200 items. Details: Home Decor clearance! Get an Extra 20% Off Already marked down prices over 200 items. Up to 75% off Sale. The company's mission is to provide homeowners with everything they need to remodel a room. Not only do they provide you with the merchandise, but they also provide tips and other ideas to help the transition go as smoothly as possible. One of the main benefits of using Country Door is that they offer a wide range of fresh styles. Customers also appreciate the fact that their merchandise is very affordable. The company is also known for its friend customer service. 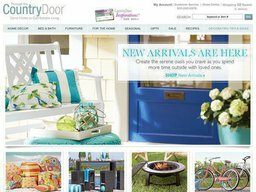 Country Door is owned by one of the biggest mail-order and online retailers in the United States, Colony Brands. Colony Brands has a catalog with a wide array of products, particularly food products like chocolate, sausage, and cheese. Some of their brands also feature other products like home décor, furniture, electronics, and apparel. Some of their brand names include The Swiss Colony, Wisconsin Cheeseman, Ashro, Seventh Avenue, and Monroe and Main. Country Door's official website can be found by visiting countrydoor.com. You don't have to browse through all of the products on their website only. You also have the option to request that a catalog be sent to your home so you can look through a physical one. The website offers visitors plenty of helpful information. The recipes section would particularly be useful if you prefer to spend a lot of time in the kitchen. You'll learn how to make easy family dishes from recipes sent in from members of the community. As mentioned, Country Door also helps provide decorating ideas to its customers. By visiting the website, you'll have access to design tips. There are also photos that you can use to help you come up with ideas of your own. Every so often, the company sends out special deals and sweepstakes. If you don't want to miss out on them, then you'll need to make sure you sign up for the email newsletter during your visit to the website. Newsletter members also receive interior design tips on a periodic basis. You can also connect with the brand on social media sites like Facebook, Twitter, Google+, Pinterest, and YouTube. Consumers will find products in various categories by visiting the Country Door website. The home décor category offers products like lighting, rugs, and window treatments. You'll also find bath furniture, bedding, and bedroom furniture in the bed and bath section. The company also offers other types of furniture such as living room and outdoor furniture. Seasonal items are also available at those special times of the year such as Thanksgiving, Christmas, and Easter. Some of the other items you can find on their website include clothing, toys, and beauty products. Do you want to save money while shopping with Country Door? Of course you do. You've come to the right place to do so. Coupofy Coupons helps its visitors save money by keeping a list of special discount codes. Simply click on any of them to lower your checkout total at the Country Door website. If you're paying by phone or online, you can pay using a major credit card or a bank draft. If you're willing to mail a payment in, then you can pay via a money order. Customers who don't wish to keep merchandise that they've purchased will need to send it back within 30 days. It's vital that the merchandise be packed properly and insured before it's sent back. There is an email form on the website that you can use to reach the company. Their phone number is (800) 240-6878. They can be reached between the hours of 8am and 12am CST on weekdays only.